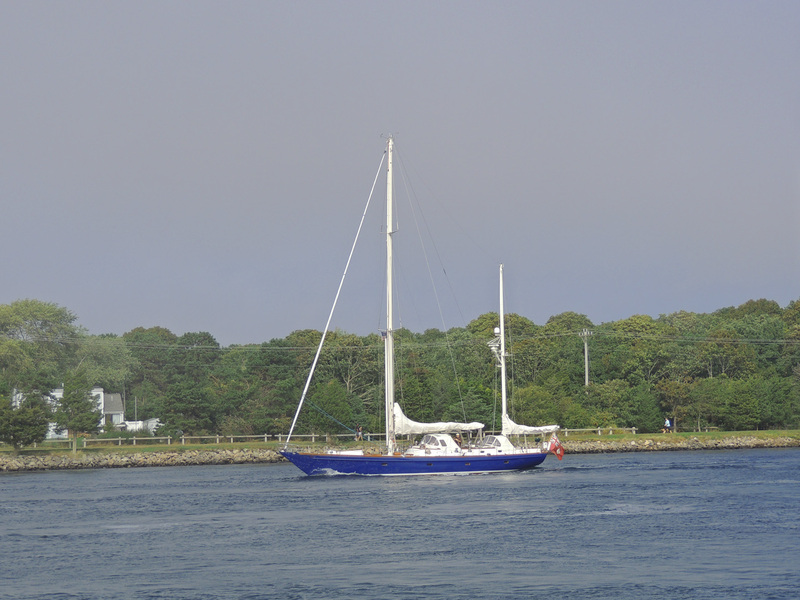 Selemat westbound in Cape Cod Canal. Pretty neat looking with that aft cockpit or whatever that area is! joint custody of the boat?